Designed with the needs of a pro in mind, the Castellli Race Rain bag keeps all the essentials organized so you can focus on the days task at hand, the ride. The bottom compartment is removable and intended for storing shoes. Multiple internal mesh pockets for organizing nutritionals, electronics, small items and more. The flip open top pockets make for easy access and the name panel ensures the team car gets the right bag to the right rider. Great bag just to keep all your equipment together and in one place. Delivery to Canada was very professional: tracking, duty and brokerage taken care of by Glory, on time delivery. Great product for having all your kit in one handy place! Great service by Jenson, very fast processing and shipping. Perfect size for all my daily cycling gear. Really like the separate shoe compartment and all of the small compartments within the bag. 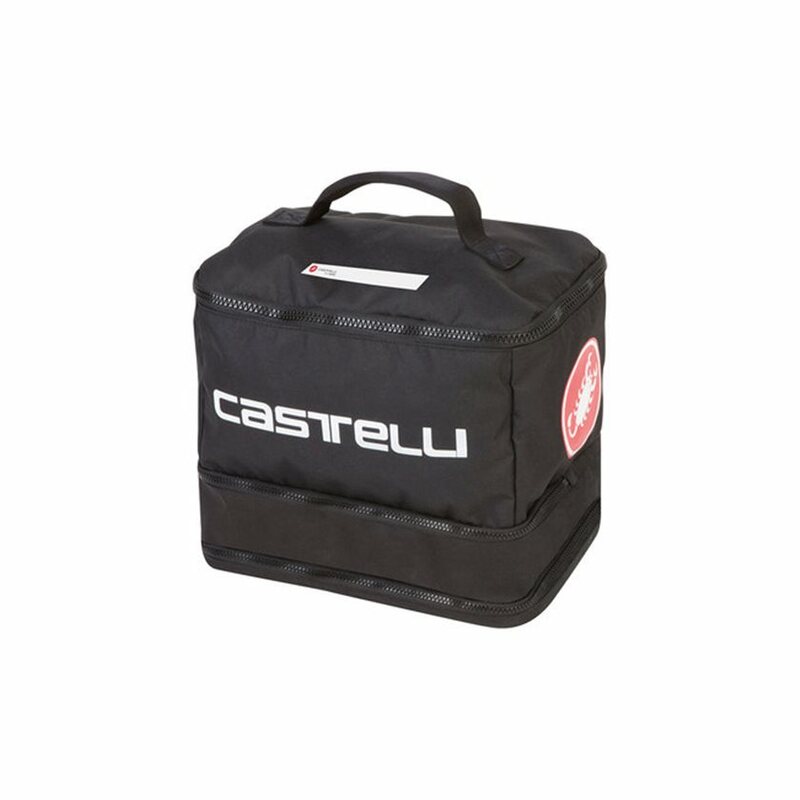 This is the second Castelli bag I've bought, getting my own after seeing how great my husband's was. It is well compartmentalized for clean and dirty gear, has a separate compartment for shoes, and it holds a ton of stuff, from tools to food. The only reason it doesn't get five stars: bottle holders/pouches (external) and shoulder straps would make this absolutely perfect imho.